This section of our Local Offer provides information about early years support and childcare. Where can I find childcare in Staffordshire? Our family information services directory provides a whole range of childcare that is Ofsted registered or approved. Simply input the postcode or area you live into the Location box at the top of the page. Then click search. Get the best out of your search. Please note: Childcare providers are responsible for updating their own information. Can you tell me more about funded early education and childcare? The government is introducing new ways to help parents with childcare costs. Whether you have toddlers or teens, you could get support. Childcare Choices provides more information on help with childcare costs and includes a childcare calculator to estimate how much help you could get with childcare costs. More information on funded places and help with childcare costs within Staffordshire. What activities and family support is available at our local children's centre? Families with children in Staffordshire aged 0-5 years can access a wide range of great activities and family support at a local centre. More information can be found in our family information directory. Will my child have any progress checks? What extra support is available to early years settings? Our early years forums monitor that the right services are involved to support pre-school children. My child has been assessed as needing a specialist setting, what is available? 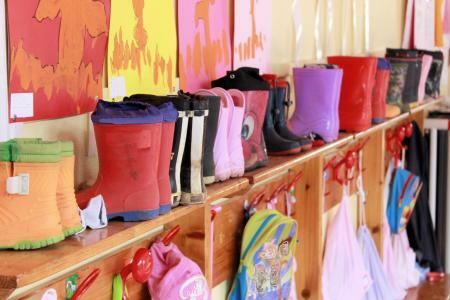 Take a look at our specialist nurseries directory below. Consultation on early years special educational needs inclusion funding arrangements for 1 September 2019- 31 July 2020.